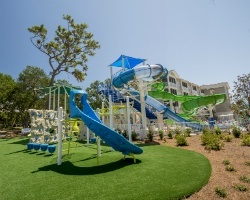 Situated on the Atlantic Ocean in the Windy Hill section of the city of North Myrtle Beach, *A Place at the Beach at Windy Hill* offers hours of fun in the sun. Myrtle Beach is best known for its fine beaches and excellent golf courses- you'll find nearly 120 courses in the area. You'll also enjoy several amusement parks, water parks, restaurants, shopping at Barefoot Landing, Broadway at the Beach or Fantasy Harbour, and many popular music theaters featuring top-name artists. Brookgreen Gardens, located south of Myrtle Beach, has an aviary, as well as a renowned sculpture garden. Treat yourself to the most rewarding timeshare vacation experience on the East Coast. Myrtle Beach is a top destination for families that want to enjoy the good life. Warm, sunny and fun are the top three words used to describe Myrtle Beach. Relax on the wide, sandy beach or tour the Grand Strand's golf courses, shops, music theaters, amusements and theme parks. All of this and more makes this area one of the most popular destinations in the US! 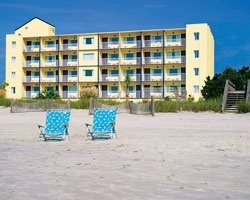 Take advantage of the fine Atlantic beaches in South Carolina front this beachfront resort. At *Beach House Golf and Racquet Club* each unit faces the ocean, and on-site amenities and activities include tennis and racquetball courts, swimming pools, hot tub and more. Myrtle Beach is also known for its many attractions including theaters, shopping outlets, fine dining and exciting nightlife! Golfers will love the more than one hundred area golf courses. To discover more, visit www.defenderresorts.com. 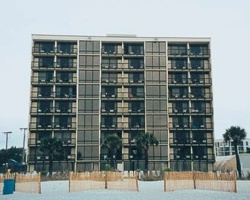 Across the street from the beach, the *Carolina Grande* is ideally located near a variety of restaurants and entertainment venues, many within walking distance. With attractions such as the Pavilion Amusement Park, NASCAR SpeedPark, Broadway at the Beach, and Myrtle Waves Water Park only a couple of short miles away, you're never far from the action Myrtle Beach has to offer! 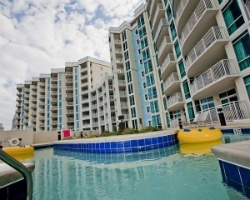 *Harbour Lights* is located in the Fantasy Harbour Complex in the center of Myrtle Beach. Nearby are shopping, restaurants, and golf. In this resort community, guests can ride bikes around the lakes, take a romantic stroll along the waterway, and use the many amenities. The Activities Center overlooking the Intracoastal Waterway offers whirlpools, indoor/outdoor pools, a lazy river current pool, exercise facility, seasonal kids club, and more. 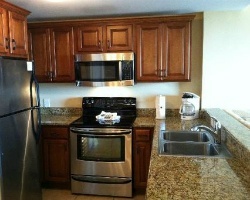 Villas have appliances, washer/dryer units, cable televisions, and DVD players. Featuring miles of sun-soaked beaches, shopping, and golf, the Myrtle Beach area is one vacation destination that has something for everyone. 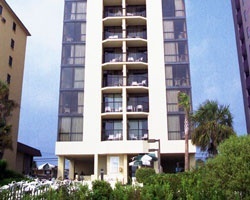 *SeaGlass Tower*, located at the epicenter of Myrtle Beach, will welcome you with unending hospitality! 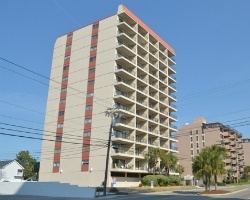 Club Regency at Regency Towers is situated in the heart of the Grand Strand. The resort offers an exercise room, sauna, ocean-side pool (heated and enclosed for winter enjoyment), two jetted hot tubs on the pool deck and a children's pool. Enjoy over 100 18-hole golf courses and many tennis facilities in the area. Miniature golf courses, two par-three golf courses, a driving range, fishing pier, water slides, batting cages and rental of water sports equipment are less than a mile from the resort. 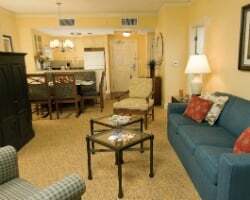 *Dunes Village Resort* is an amazing retreat located right on the Grand Strand of Myrtle Beach! It is a peaceful, oceanfront vacation mecca that is located close to the fun and excitement, and the suites have spectacular views! Great shopping and dining are very close, and there is in endless array of activities for outdoor lovers! The resort has the only indoor water park in Myrtle Beach and that includes an oceanfront pool, a lazy river and hot tubs! 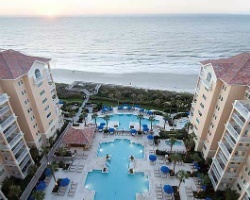 If Myrtle Beach is your destination and a luxury brand is your aim, *Hilton Grand Vacations Club at Anderson Ocean Club* is the place for you! This upscale resort is situated within the wonderful Anderson Ocean Club and Spa, meaning a top-notch beauty salon and the Awakening Spa are available to guests as part of this relaxing beachfront escape. 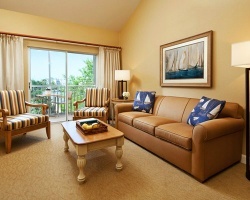 Speaking of beachfront-- suites come complete with furnished patios, either oceanfront or with an ocean view! Not to be forgotten, the splendid array of Myrtle Beach attractions will be at guests' fingertips, too, as this beautiful Hilton is located right on the Grand Strand! Shopping, golfing, dining, mini-golf, parasailing, and much more-- it's all here waiting! For more information, visit www.hiltongrandvacations.com. 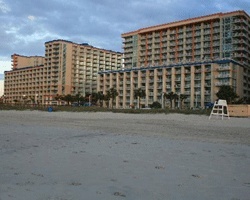 *Holiday Inn Club Vacations South Beach Resort* is a beautiful property located in Myrtle Beach! When you vacation here, you can soak up the sun on a splendid stretch of white-sand beach, play a round of golf at Midway Par 3, or enjoy miniature golf at South Beach Adventure or Jurassic Golf. Afterward, dine in your choice of great restaurants! All these amenities are located just next door. The Franklin G. Burroughs Simeon B. Chapin Art Museum is just across the street. 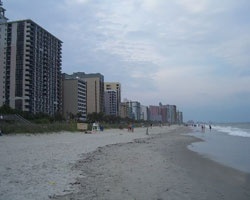 Then walk over to Springmaid Pier or Myrtle Beach State Park. The rest of Myrtle Beach and all it has to offer is just a few minutes away. To discover more, please visit www.orangelake.com. 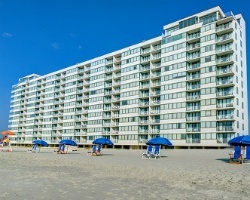 The Horizon at 77th provides quests with the perfect home-away-from-home for their Myrtle Beach vacations. 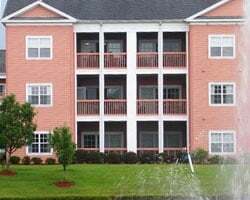 Located away from the hustle and bustle found at other locations along the Grand Strand, this resort offers a peaceful respite in fully equipped condominiums. Most units feature breathtaking views of the ocean and coastline. Guests can relax in one of the resort’s indoor or outdoor pools, the lazy river, a hot tub or work up a sweat at the modern fitness center. For those guests wanting to enjoy the local attractions, theme parks, museums, state parks and some of the best golf in the world is just moments away! *Jade Tree Cove* is an intimate resort with access to everything you need for an ideal family vacation. 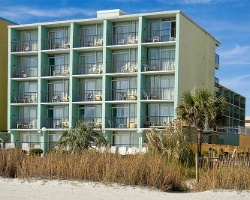 on-site there's a pool, game room, outdoor grills, Internet access, and stunning ocean views at this beachfront resort. For convenience there are laundry facilities and an elevator too. Jade Tree Cove is a cozy resort where the staff organizes games and entertains the guests while also helping you plan your vacation activities. To discover more, visit www.spmresorts.com. *Marriott's OceanWatch Villas* is located oceanfront in the prestigious Grande Dunes private development, amidst a spectacular stretch of Carolina coastline. The graceful Tuscan-accented architecture and lushly landscaped pools provide the perfect setting to relax and enjoy the view of white-capped ocean waves. Afterward, retreat into a villa that exudes the warmth and generosity of Southern tradition. 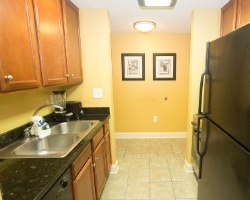 This quiet enclave is only a few minutes' drive away from the golf, shows, shopping, and attractions of Myrtle Beach. 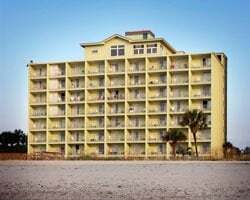 Myrtle Beach Resort is a 33-acre oceanfront property with many exciting amenities for your next beach vacation. 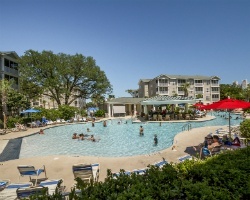 Featuring on-site amenities like a lazy river, four outdoor swimming pools, two indoor swimming pools, tennis courts, a game room, and more, this luxurious property is ideally located for any getaway in Myrtle Beach. Numerous onsite dining options are available, and live entertainment is regularly scheduled in the cabana bar and grill. And with all the excitement of Myrtle Beach from the Grand Strand (with over 1,000 restaurants) to the area's numerous golf courses, you'll have plenty to do in the area as well. Experience the height of laid-back luxury within this 27-story tower featuring inviting resort-view and ocean-view suites decked out with all the conveniences and comforts of home, coupled with stand-out amenities for the ultimate stay. 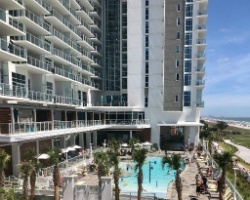 Located near vibrant nightlife and entertainment, upscale shopping, world-class fairways, and ample outdoor recreation, *Ocean Enclave by Hilton Grand Vacations Club* is the perfect launch pad to experience everything that makes Myrtle Beach memorable. To discover more, visit www.hiltongrandvacations.com. 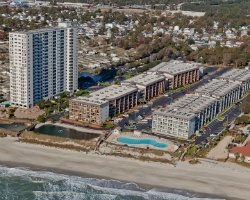 Enjoy the excitement of Myrtle Beach from *Ocean Villas Beach Resort*. Guests receive memberships at the nearby Ocean Dunes Health Club, which offers an indoor swimming pool, sauna, steam room, health bar, and exercise equipment. You can also enjoy the resort's outdoor pool and Jacuzzi, which are heated during the summer months (typically May to October). Myrtle Beach has something for everyone, including more than 120 championship golf courses, Myrtle Beach Pavilion, Broadway at the Beach, Barefoot Landing, Fantasy Harbour, many music theaters, restaurants, nightspots, and miles of beaches. To discover more, please visit www.vriresorts.com. 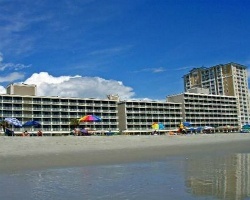 For the perfect Myrtle Beach vacation, *Riptide Beach Club* is your resort! One bedroom oceanfront suites, courtside suites and 2 bedroom townhouses are offered. 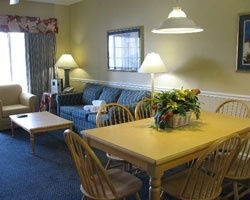 All accommodations are sure to please, with fully-equipped kitchens and full living rooms in each, but the area's attractions are bound to lure guests away from their suites: Fantasy Harbour, Broadway at the Beach, Barefoot Landing and the Myrtle Beach Pavilion, to name a few, are popular and fun-filled spots. Shopping, golf, tennis and beaches are famous in the area- take advantage of all that's offered in this beautiful and family-friendly vacation haven! For more information, visit www.riptidebeachclubs.com. 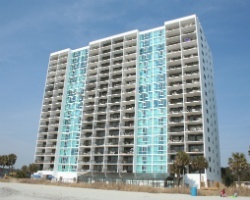 Many of the attractions of Myrtle Beach are within walking distance of the beautiful *Riptide II Beach Club*. The area is known for its many music theaters, excellent golf and tennis facilities, fine beaches, great shopping, and a variety of family amusements including Broadway at the Beach, Fantasy Harbour and Barefoot Landing. 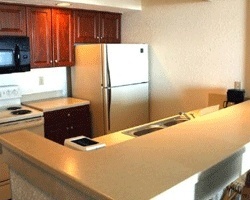 Riptide Beach Club has 27 oceanfront units and 26 courtside units (little or no ocean view). The resort also offers an outdoor pool, which is heated and covered in-season), and a heated whirlpool. The Myrtle Beach Pavillion, Brookgreen Gardens and historic Georgetown are also popular attractions. 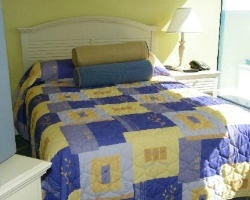 At *Sandcastle South Resort* there are accommodations to please everyone, inviting you to stay longer! Pools, Jacuzzi, whirlpools, kiddie pool, and an endless river ride offer a wide variety of water sports. The Sandcastle South Restaurant, Oceans 22 Lounge, and seasonal poolside cabana bar help to make your vacation a memorable experience. Sun bathe on the oceanfront lawn and leave your footprints in the sand! 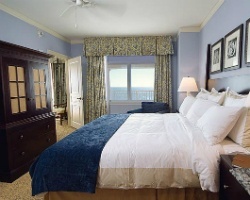 Wake to the sound of gentle breezes and soothing waves and see the sunrise dancing on the blue water. The view from your balcony will take your breath away! The quiet location with all the entertainment, golf and the finest restaurants provide the relaxation you deserve. As a guest of the *Sands Ocean Club* you have all the amenities of the Ocean Club, including a lazy river, indoor and outdoor pools, hot tubs, sauna, health spa, restaurant, lounge, and outdoor cafe. Sands' Windows restaurant features some of the best morning and evening dining - the all-you-can breakfast is a big hit with the golfers. Kids under 12 get breakfast free. Kids can also enjoy Sands' own Kid's Club with fun activities and free t-shirts. The popular Ocean Annie's is adjacent to the outdoor pool and features the best live entertainment and frozen drinks on the strand! 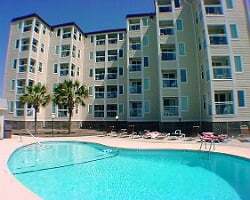 The condominium is just minutes from all of the top Myrtle Beach hot spots including Barefoot Landing, Broadway at the Beach, House of Blues, The Pavilion, the top dinner theatres on the beach, and all of the top dining areas. 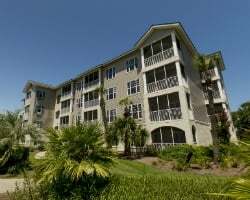 *Schooner Beach and Racquet Club* is within easy reach of entertainment spots, amusement parks, shopping, and restaurants. Theaters include The Carolina Opry, Dixie Stampede, Legends In Concert, and Alabama Theater. Myrtle Beach boasts more than 1,700 restaurants including Hard Rock Cafe, House of Blues, Planet Hollywood, NASCAR Cafe, and Bullwinkle's. There are more than 100 championship golf courses. 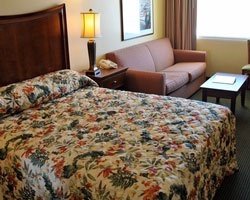 The resort is just a few steps from the beach, and all rooms have views of the oceanfront. Free tennis, an outdoor pool, exercise room, and sauna are available. *Schooner II Beach and Racquet Club* is a few steps away from the beach and has an indoor heated pool, exercise room, and sauna. 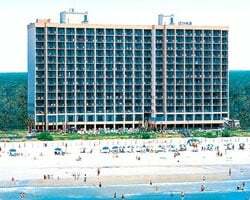 The resort is located in Myrtle Beach, a year-round vacation area that offers entertainment spots, amusement parks, shopping, and restaurants. Theaters include Alabama, Carolina Opry, Legends in Concert, and Dixie Stampede. There are more than 1,700 restaurants in the area, including Hard Rock Cafe, and approximately 125 golf courses. 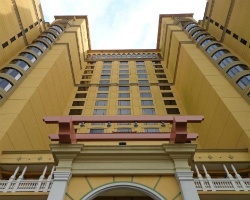 Few destinations offer both relaxation and excitement quite like Myrtle Beach, and *Sheraton Broadway Plantation* at Myrtle Beach sits in the heart of it all! Championship golf and tennis, direct access to the South's hottest shopping and entertainment district (Broadway at the Beach), and the famous sandy shores of Myrtle Beach are just four blocks away. The resort offers family activities such as climate-controlled indoor/outdoor pool, miniature golf, sand volleyball, and a lazy river. Adult amenities include a pool bar and a new spa. All adults must present a picture ID at check-in. 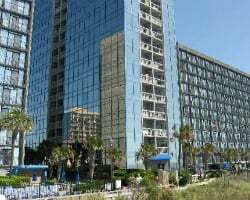 Beautiful *Myrtle Beach Oceanfront Resort* is located right on the beach in the heart of Myrtle Beach! 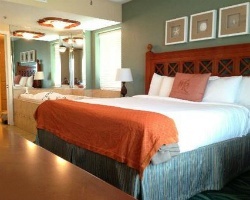 This combination hotel/timeshare resort is an award-winning choice for vacation or business travelers. 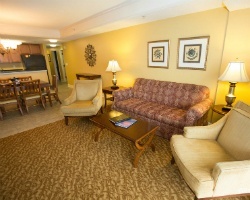 Guests enjoy comfortable accommodations in a fabulous location! Use theses 3,000 odd year points anywhere in the Bluegreen network! Great for other exchanges. Owner Is ready to negotiate Now! Inquire today!!! Diamond season week of your choice or use as 176,000 HICV points! Buyer may receive a title fee credit, inquire for details! 8,400 annual points! Points can be used anywhere in the Hilton Grand Vacation Club network! Buyer may receive a title fee credit, inquire for details! Close to many popular attractions and amenities for all ages! Floating week! Buyer may receive a title fee credit, inquire for details! 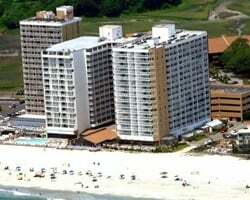 Great resort close to the area's many restaurants and entertainment! Week 41! Buyer may receive a title fee credit, inquire for details! Choose to relax in Myrtle Beach in any floating week you desire every even year! Buyer may receive a title fee credit, inquire for details! Centrally located near the beach, shops and many restaurants! Silver season ownership! Buyer may receive a title fee credit, inquire for details! Right on the beach! Week 48! Great time to shop the outlets for Christmas gifts! Buyer may receive a title fee credit, inquire for details! Relaxing beachfront resort! Week 45! Price is negotiable! Buyer may receive a title fee credit, inquire for details! Motivated seller! 15,000 annual points! Points used anywhere in the Bluegreen network! Buyer may receive a title fee credit, inquire for details!! Come relax on the white sandy beaches of Myrtle Beach! Floating, gold week! Buyer may receive a title fee credit, inquire for details! 5,000 annual points!! Points can be used anywhere in the HGVC network!! Buyer may receive a title fee credit, inquire for details!!! Floating week of your choice! Buyer will have immediate usage! Buyer may receive a title fee credit, inquire for details! 10,000 annual points! Points can be used anywhere in the Bluegreen network! Inquire today for more details! 10,000 annual points! Points can be used anywhere in the Bluegreen network! Buyer may receive a title fee credit, inquire for details! 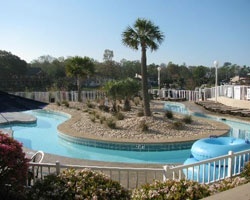 Resort has direct access to all activities in the Myrtle Beach area! Floating, gold season week! Inquire for details! Peaceful Myrtle Beach resort!! Buyer may receive a title fee credit, inquire for details! Great resort set along the beach! Floating, platinum season week! Buyer may receive a title fee credit, inquire for details!!! Highly motivated Seller! 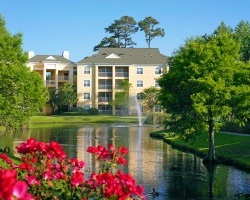 Beautiful elegant Myrtle Beach resort! Odd year week 10 usage! Inquire for details! Floating gold season week! Week can also be used as 115,000 HICV points! Buyer may receive a title fee credit, inquire for details! PRICE CHANGE! Enjoy the great selection from HGVC Travel the world with 4200 annual pts.! Buyer may receive a title fee credit! Floating silver season week! 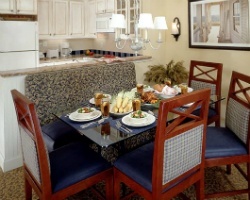 Enjoy luxurious accommodations for your Myrtle Beach vacations! Buyer may receive a title fee credit, inquire today!